The first publicity stills for Ryan Gosling’s new vehicle (sorry) The Place Beyond the Pines worried me because just like everyone, I thought that the teardrop tattoo and the bleached hair has temporarily ruined Gosling the male ideal. This look was even worse than the two movies where he looked like Jason Lee – those movies being Lars and the Real Girl and Blue Valentine. But he surprisingly never looked better, his face glowing and more symmetrical. Gosling’s character, Luke Glanton, dominates the first act of this triptych. His performance is captured by most suitable hands, with director Derek Cianfrance’s lo-fi aesthetic combined with cinematographer Sean Bobbitt’s fluorescent, brutal artistry. Mike Patton’s haunting Lynchian score also enforces this aura that Luke is this impossible phantom, a character more important that Luke himself realizes. Luke is a motorcycle stuntman famous within the circus crowd. He discovers that he has a child with a Cuban-American Schenectady native named Romina (Mendes). 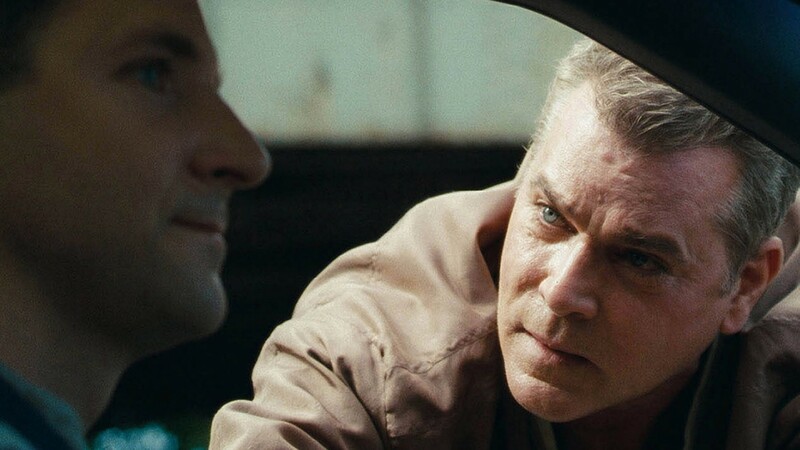 At first pride sets in but instead of regular employable skills, one of his colleagues (Mendelsohn) suggests that his abilities has the makings with that of a bank robber. Gosling’s finest moments are in these scenes, his voice squeaking to suggest that he’s not perfect at this gig. The movie also promises this crime to affect generations and that it does. For some of the audience who are looking for more facets in this story, we can chew and bite on its depiction of Luke’s family as well as Avery Cross (Cooper), the man who has to stop Luke’s robbing spree. Families, after all, seems to be the theme of choice for Cianfrance, who is becoming one of our generation’s prominent tragedists. His earlier movie Blue Valentine portrays a rocky marriage. This new movie, however, uses a bigger canvas to show more elements that help families break apart. Luke’s family is a diverse one, with Romina married to a man named Kofi, Romina bearing two children from different fathers. On the other hand, Avery deals with his ex-politician father, a wayward son named AJ (Cohen, the movie’s second MVP) and a wife named Jennifer (Byrne) who wants him to quit the force after the catastrophic fallout of his involvement with Luke’s case. Cianfrance’s delicate wisdom in co-writing this script is clear by showing both the families’ diversity and dysfunction without necessarily showing the connections within both. That said, as thrilling and magnificently shot as Gosling and his scenes are, I feel like I’m the only crazy person who thinks that Cianfrance sets Luke’s story arc in stone. While watching the movie, my questions instead were about the other two sections of this triptych. What will Avery do after the fallout of Luke’s case? What kind of relationship will AJ have with another boy named Jason (DeHaan), the latter having his own past to deal with? I’m thus more interested in the slow burn of the other two sections because anything can happen in those scenes, those scenes belong to one heart-pumping movie. Make sure to keep up with what’s going on at Entertainment Maven by liking our Facebook page and having updates delivered right to your Facebook News Feed. It’s the only way to stay on top of all of our articles with the newest blockbusters and all the upcoming films, festivals and film related events in Toronto. New to theaters this week from Alliance Entertainment Canada is Lawless, a fictionalized accounting of the true story of the Bondurant brothers and their exploits bootlegging moonshine. The star-studded cast under director Hillcoat attempt to provide a prohibition era gangster epic, but do they succeed or go up in flames like a still set to blow? In the mountains of Franklin County, Virginia, the Bondurant brothers are the stuff of legend: Howard (Clarke), the eldest, survived the war; Forrest (Hardy), the brains of the outfit, nearly died from the Spanish Flu that took his parents but gained a reputation of immortality due to his perseverance; and Jack (LaBeouf), the youngest, is impulsive, impetuous and eager to join the family occupation. Times are tough and jobs are scarce, but the Bondurants are entrepreneurs and have built a thriving local business by concocting an intense and popular brand of moonshine. But the arrival of Special Deputy Charlie Rakes (Pearce) from Chicago threatens to derail their business. Corrupt as the day is long, the family rallies to fight Rakes, while Jack’s ambitions and enterprises alter the fortunes of the brothers’ affairs. With the help of friend Cricket (DeHaan), Jack starts to prosper, even selling moonshine to Floyd Banner (Oldman), the big city gangster he idolizes. And while two of the Bondurants are soon under the spell of two beautiful women: the exotic, steadfast Maggie (Chastain), and the quiet, pious Bertha (Wasikowska), Rakes intensifies his efforts resulting in deadly consequences for all. 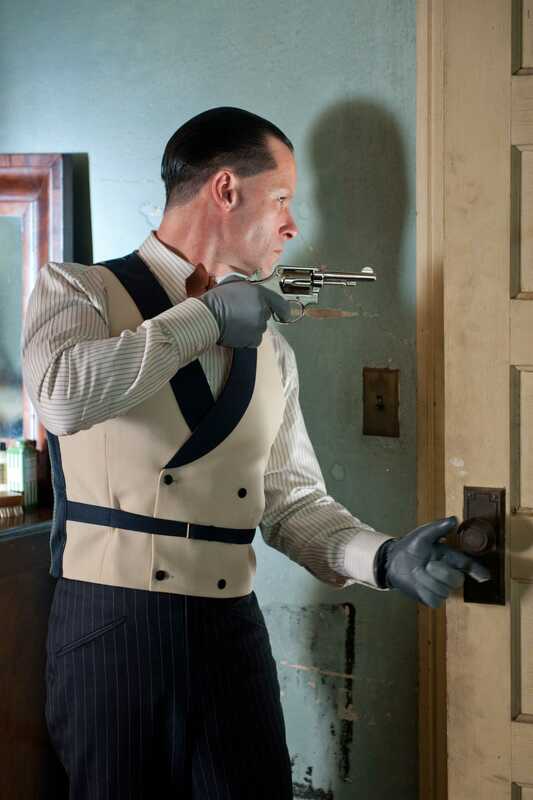 Lawless is a solid outing, far from spectacular, but a fun, entertaining time at the multiplex. The script and dialogue are merely functional to drive the story along, although there are some genuinely hilarious moments. That said, there is a lot more fiction involved here than not – ‘based on a true story’ really should read ‘inspired by’. The set design looks and feels like a backlot the whole time, lending it a 70’s film feel that in retrospect may have been intentional, with a bar/house that looks like it came straight out of Silverado and other films of the like. The casting works to varying degrees. LeBeouf is clearly the weak link here, not necessarily because he’s awful, but his performance is just lacklustre. Hardy, as usual, really makes an effort to steal every scene and he succeeds with ease, managing to elevate the quality of the material and the movie as a whole with his presence. The supporting cast does decent work, with Pearce absolutely relishing his old school ‘moustache twirling’ bad guy archetype and DeHaan showing that he is really becoming someone to keep an eye on after this and his turn in Chronicle (one of my first reviews) earlier this year. Hillcoat’s direction is one of the other highlights here as the pacing is strong and the film moves at a refreshingly fast clip. Ultimately though, Lawless is the type of film you can safely walk out of not feeling as you’ve wasted you money on, but half an hour later you’ll be hard pressed to remember anything about it except for Hardy. 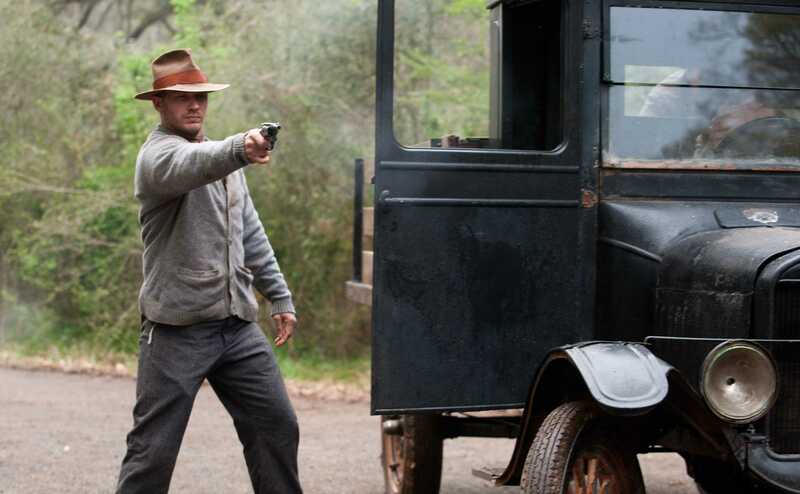 Lawless is ultimately far from the worst fare out in theaters right now, but it’s also easily forgettable. For a reasonable night out at the movies you could do far worse. 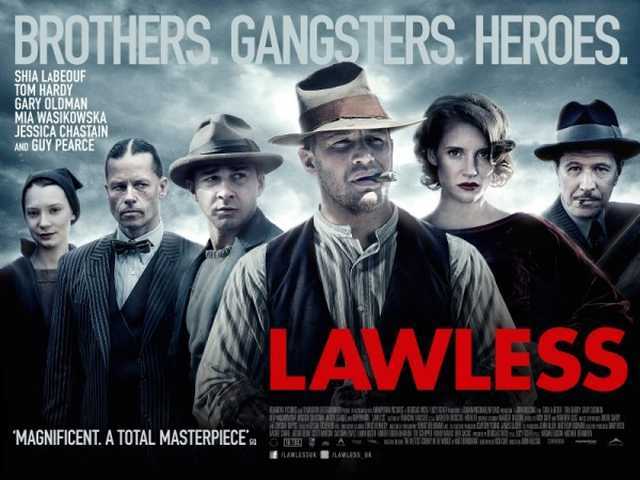 Lawless is a mild recommend. 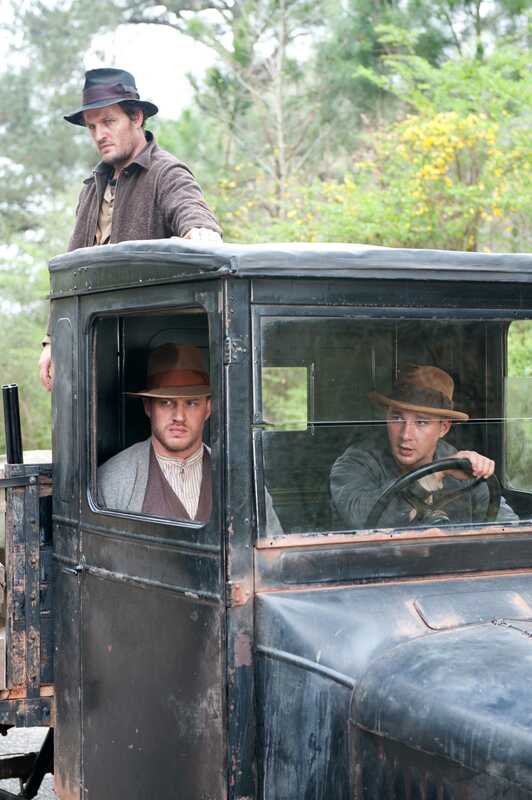 Lawless opens in theaters nationwide on today, Wednesday August 29th. Make sure to keep up with what’s going on at Entertainment Maven by liking our Facebook page and having updates delivered right to your Facebook News Feed. It’s the only way to stay on top of all of our articles with the newest blockbusters and all the upcoming films and festivals in Toronto. I did not know a whole hell of a lot about Chronicle before stepping into the theater, which was very refreshing, given this age in which Hollywood often gives away everything in the trailer before the film actually comes out. 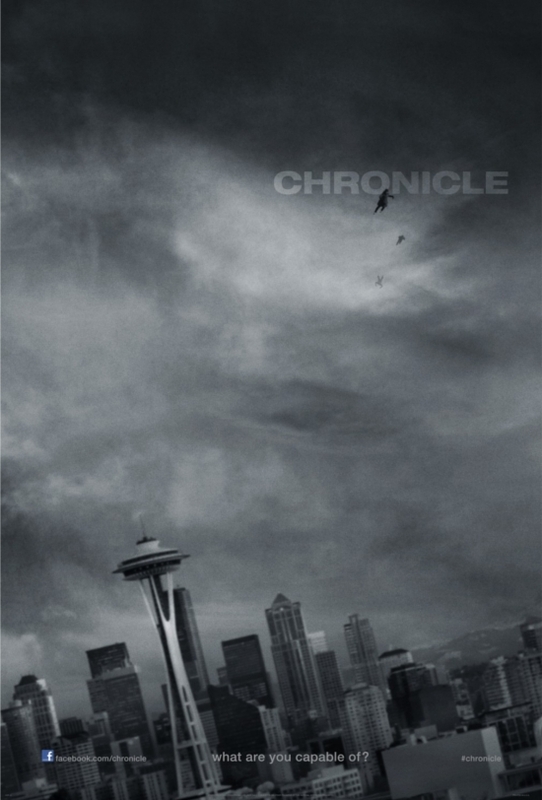 Chronicle has also been backed by a brilliant advertising campaign that did more to peak curiosity and raise questions, rather than the “here’s a stunt, doesn’t it look pretty” mentality. In many ways it was reminiscent of the brilliant PR work done for last year’s great Troll Hunter. As for the plot, Chronicle opens on Andrew Detmer (DeHann) as he sets up his “new” camcorder, which he plans to use for recording all the events in his fractured family, all while his father pounds on his bedroom door, demanding to come in. And you thought this would be a flight of fancy. We are soon treated to a day in the life of Andrew, as his relationships with the people surrounding him come into focus. Among them are Matt Garetty (Russell), who we discover is actually Andrew’s cousin and knows all too well what is going on, and Steve Montgomery (Jordan) who is the “popular jock” character. Matt and Steve discover something intriguing and drag Andrew along to document the proceedings and outcome. While I won’t get into their discovery, if you’ve seen any of the advertisements for the film, then you’ll know that these three start showing abnormal abilities and chaos inevitably entails. Chronicle is a “found footage” film that may have been better suited playing it straight, especially because it becomes something of a burden to continually explain the presence of the cameras throughout the film. I feel strongly that Chronicle did not need this gimmick, but at least the camera work is not the typical extremely shaky style that films like Devil Inside have used so poorly in the past. Regular people don’t move the camera around that much, so why would characters making a film? Chronicle could have been served better as a traditional 3rd person narrative with 1st person inserts. We understand that Andrew is using the camera to hide behind, and if we didn’t, then one of the characters spells it out for us. We don’t need the camera to be omnipresent to get the point. That said, the performances from a cast of mainly newer faces is solid and the story takes a dark turn I was only too happy to see. This is the darker side of TV shows like Misfits and Heroes. Ultimately, I was pleasantly surprised I enjoyed this film as much as I did, since it is being hailed by some as “the superhero movie as seen by the Facebook generation”. Don’t let this dissuade you. Chronicle is just a damn good film that deserves everyone’s attention.